Enjoy the best of both worlds with the all-new LiteRider™ scooter — a full-size scooter with all the beneﬁts of a compact, portable scooter! 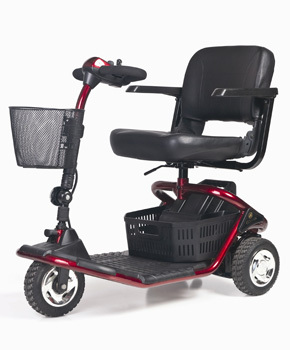 The LiteRider comes standard with a Delta tiller and a large stadium-style seat with adjustable armrests. With a 300 lb. 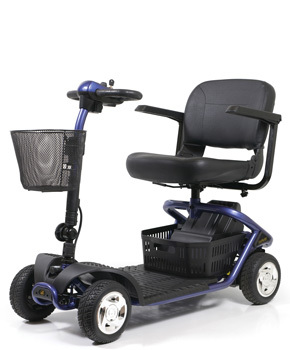 weight capacity, the LiteRider can be quickly and wirelessly disassembled for transport or storage.